Laugh away 2017 with five national headline comedians. Enjoy smart, clean and funny humor with the option of candlelit table seating, cocktails and a post-event free bubbly toast at midnight with the performers. The Osher Marin JCC joins the Other Café Comedy Showcase to present their 8th Annual New Year’s Eve Comedy Show of smart, clean and funny humor. 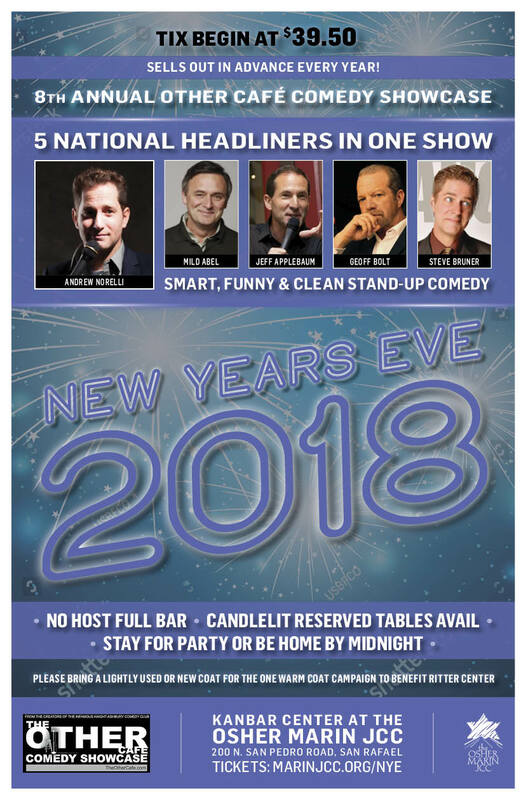 Known as one of the top comedy shows of the year and always a sell-out, the evening is timed so attendees can enjoy an early dinner at a favorite restaurant, be elsewhere for the stroke of midnight, or stay for the festive After Party with the comics including a complimentary bubbly toast at midnight! The event also offers a chance to use the evening as a New Year’s celebration with friends at a reserved lantern-lit table for four or eight. The evening includes a pre-show cocktail party at 7:30 with a no-host full bar and light snacks available for purchase, a two-hour comedy show starting at 9 p.m. with an intermission and after-party at 11:30 p.m. for the countdown with a complimentary glass of bubbly at midnight in the lobby. Smart, funny and clean stand-up comedy from 5 comics in one hilarious show, featuring Andrew Norelli with Milt Abel, Jeff Applebaum (host), Geoff Bolt, and Steve Bruner. One hilarious night of comedy also includes a One Warm Coat drive benefiting The Ritter Center. Please bring lightly used or new coats to help those in need. WHEN: December 31: 2017 @ 9 p.m.
MORE: Recommended for 18 and older. 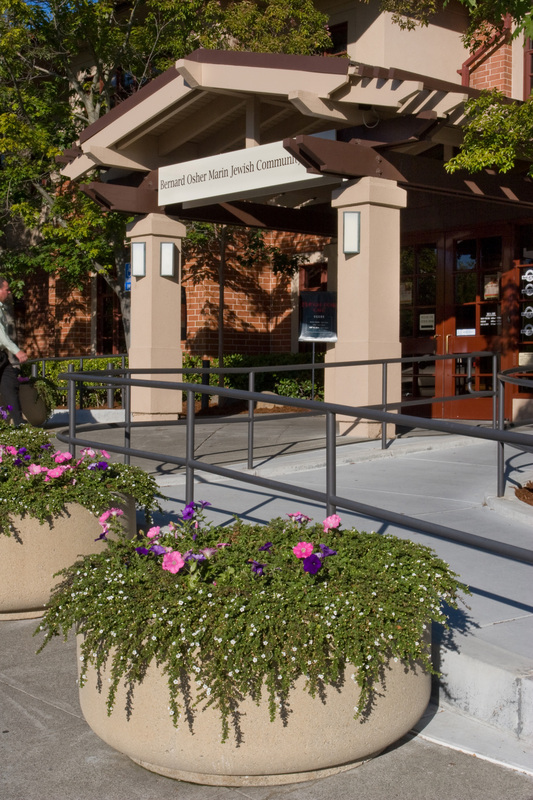 For more info, call 415-785-8873.